Carbon fibre and alloy brake levers designed to fit in the bar end of TT upturned handlebars. The cable is externally routed from the brake lever for easy assembly. New for 2011. 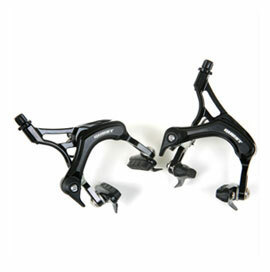 We are pleased to offer our first lightweight brake calipers for road bikes. The black anodised arms are CNC machined from solid alloy bilets to produce a stiff and strong but extremely light brake stirrup. The brakes come with alloy fastening hardware and cartridge type brake blocks and shoes. Speed management à la MAGURA: The one who brakes later stays fast longer. As a hydraulic rim brake, the RT8 TT has a crucial advantage over comparable mechanical braking systems. Friction losses are considerably lower allowing greater efficiency. This feature allows optimal control, the slightest of touches is required to produce a high braking power. The carbon brake levers save precious weight, as do the light and extremely stiff aluminum brake bodies. The result of collaboration with the experts at Cervélo is an aerodynamic, controllable, fatigue free hydraulic racing brake system weighing only 495 grams and providing up to 50% more power than a cable brake. The challenge facing Maguras development department in Germany was clear and concise: to build the worlds fastest brake for the road. It had to be extremely light, provide greater braking power than any other road bike brake before it, and yet still be capable of exact and smooth control. It also sets new standards in terms of aerodynamics for Triathlon and Time Trial machines. In order to trump here, Magura brought on board the Canadian bike manufacturer, Cervélo, for its exceptional expertise in aerodynamics. After more than one and a half-year of intense development, Magura had now created the braking revolution for Triathlon and Time Trial. The challenge facing Maguras development department in Germany was clear and concise: to build the worlds fastest brake for the road. 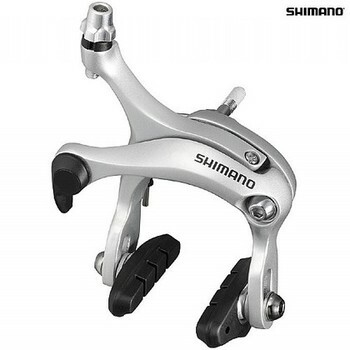 It had to be extremely light, provide greater braking power than any other road bike brake before it, yet still be capable of exact and smooth control. It also sets new standards in terms of aerodynamics. In order to trump here, Magura brought on board the Canadian bike manufacturer, Cervélo, for its exceptional expertise in aerodynamics. After more than one and a half-years of intense development, Magura have now created the braking revolution for road bikes, Magura presents the RT6 C, the supplied Convertor will allow you to use all major Shimano STI, SRAM and Campagnolo Ergopower cable operated levers and convert this into a hydraulic system allowing you to use your favourite STI levers. Weight: 481 g / 1.06 lbs. Weight: 495 g / 1.09 lbs. The new Sora brake caliper from Shimano. This caliper is ideal for the more sport, recreational road bike, but with the same style and design as the top end calipers available. Your brakes shouldnt slow you down until you squeeze the levers. Thats why the SRAM RED Brakeset has been created with a host of wind-cheating features to make the brake body more aerodynamic, helping you keep your speed until the moment youre ready. The new patented AeroLink arm reduces frontal area while improving braking performance and modulation. The brake body has been sculpted to provide a sleek aerodynamic profile to the wind. Even the smallest details, like the barrel adjuster, point away from the wind. And to finish off the package, SwissStop Flash Pro pads come standard with the brake. Its a better brake in every way. The new SRAM Force Brakeset was designed with light weight, performance, and streamlined aesthetics as our guiding principles. Featuring Dual Pivot performance and a proprietary pad compound, the SRAM Force Brakeset delivers high power with low weight. Intelligent engineering combines cold-forged arms, stainless steel main pivot bolts, and a powerful return spring for positive engagement and release. With cold-forged arms, Dual Pivot design, and a proprietary pad compound providing the needed muscle, SRAMs Rival Brakeset gives you powerful stopping power and positive, progressive response. Lightweight materials, streamlined design, and a sleek finish all complement the performance, letting you scrub speed or stop on a dime. With cold-forged arms, Dual Pivot design, and a proprietary pad compound providing the needed muscle, SRAMs Apex Brakeset gives you powerful stopping power and positive, progressive response. Lightweight materials, streamlined design, and a sleek finish all complement the performance, letting you scrub speed or stop on a dime. Care for detail in every component. This is why the new Campagnolo(R) levers for Bar End are not just simple levers! In a discipline where each second becomes decisive, the difference with the competitors is to be found in the individual detail. Designed and tested in our wind tunnel and developed on the road with professional athletes, they are designed with the aim of following the movements of your hand and allow the best aerodynamic position even when operating them. Athletes that run against the clock are well aware of how important perfection is. And Campagnolo(R) is sure to give you what you are looking for. Following professional cyclists means meeting all their needs. This is why Campagnolo(R) has designed two Record(TM) brake options. The brake pad compounds used yield superior braking performance and the lightened pad holders make pad replacement fast and easy. Campagnolo(R)'s objective is to provide both professional and amateur cyclists with the best braking system possible, adapted to their riding style. Set of 2 pairs of genuine Campagnolo replacement brake pads to all Campagnolo dual pivot style brakes which use seperate alloy brake pad holders. 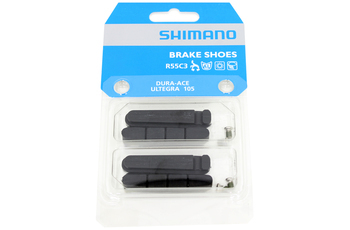 1 pair of genuine Shimano one piece brake pads to fit earlier model 105 and Ultegra brakes that do not use the current cartridge pad system. 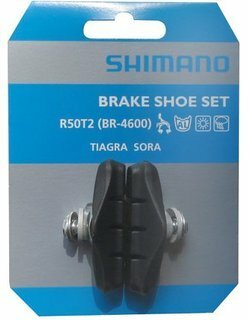 2 pair of genuine Shimano brake pads for the new Dura Ace 9000 series calipers as well as Ultegra and 105 models. A Swiss product, Swiss stop offers the best braking performance in all conditions for all types of bike. High performance compound for aluminium rims. Excellent in the dry and unbeatable in the rain. Extremely low pad and rim wear. Awesome power (wet and dry) and in precise modulation on carbon rims. No squeaking and very little wear to rim. Also good for alloy rims. SwissStop is the distinguished leader in brake pad technology. The Black Prince offers improved carbon fiber braking performance over their esteemed predecessor, The Yellow King. The pads feature enhanced modulation, decreased stopping distance in wet conditions, and superior heat dissipation. 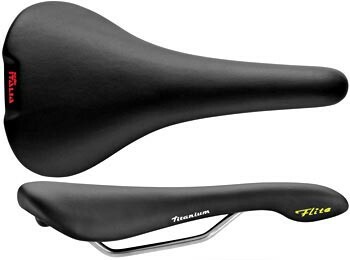 The Black Prince has gained popularity among the PROs for lending better lever feel and overall braking performance. 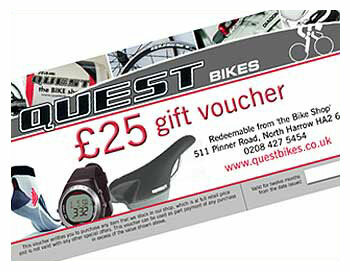 They were used extensively by many team riders during the 2012 Tour de France, including Fabian Cancellara. SwissStop's Black Prince has improved upon the performance of the Yellow King in a variety of fronts. The Black Prince pad features more linear brake modulation. This means that braking power is no longer diminished at the end of the brake lever pull. Significant gains have also been made in wet weather stopping power. SwissStop claims a 26% decrease in wet weather stopping distance over the Yellow King. Lastly, the new Black Prince compound features a 44% reduction in max. pad temperatures. The improved heat dissipation results in more consistent stopping distances and power. The FlashPro model is compatible with Shimano, SRAM and eeBrake applications. The RacePro model is designed for Campagnolo and Zero Gravity compatibility. Each package contains four FlashPro or RacePro brake pads, two front and two rear.